Yes, there's now something we call the Smart Plate. Using Radio Frequency Identification (RFID) technology as part of the new, innovative Payment by Intelligent Solutions system, or PABIS, payment can be processed at cash registers in a completely automated process. 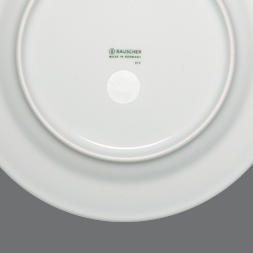 A transponder chip is glued to the underside of a specific style of plate, which corresponds to a certain menu item. The plate sends this information along with the price for the item to the register, where the guest receives a total to be paid in a cashless transaction. The benefits of PABIS are obvious. When you automate the payment process with smart plates, an operation has the potential to lower costs by at least 50 percent. At the same time, guests gain convenience and an overall better experience. PABIS also has the ability to help an operation with inventory and stocking. When one item sells more than another, products can be quickly replaced, reordered, or restocked, guaranteeing a high level of reliability. A transponder chip is glued to the underside base of the porcelain. The chip is sealed and is not affected by moisture, and it can also withstand temperatures of up to 185º F.
In a serving line, a plate is handed to a guest, and in the process the plate is passed over a chip reader. At this point, the transponder chip is encoded, meaning the plate then "knows" the meal item and its corresponding price. In a self-serve line, the information about the menu item and the price is transmitted to the transponder chip as soon as the guest grabs the plate. At the end of the line, guests place food trays onto the counter next to the register, which is also equipped with a chip reader. The information saved on the various transponder chips is automatically transmitted to the payment system, and the total price is displayed. Even better? Chips can also be placed in glasses, making the beverage process automated, too. 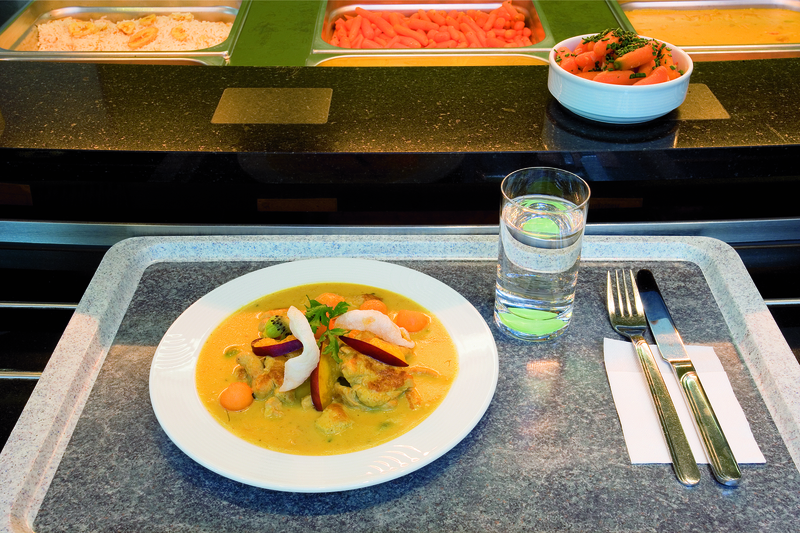 Aside from buffet and serving line applications, hotels and hospitality operations can use the PABIS system with room service or other creative applications. This is truly a cutting edge technology, and we're only beginning to scratch the surface on what the implications might be. To learn more about PABIS and the possibilities of "Smart Plates," we'd love to talk with you in greater detail. Feel free to contact us today.